The tournament host getting ready to taking his shot on a beautiful course on a beautiful summer day! 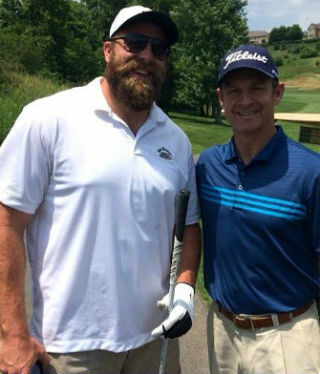 Always there to support their friend and his foundation – Brett Keisel and Merril Hoge. 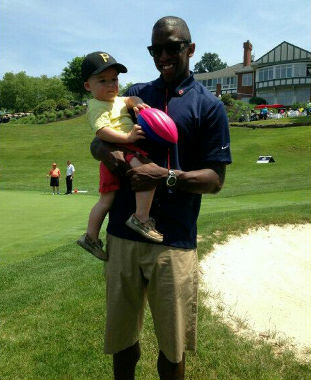 Benjamin Jr. hangin’ out with his Uncle Coop on the course, but seemed more interested in a football rather than a golfball! 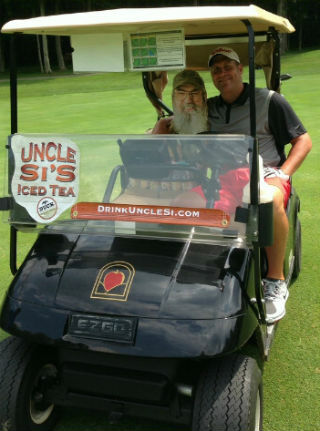 Big Ben did a little chillin’ on a hot day with Uncle Si….well, sort of! Stay tuned…we have a lot more photos to come of both the tournament and the fundraising event that took place at Jergels on Sunday evening! Proceeds from both benefit K-9 Police and Fire Units throughout the country, and Make-A-Wish®! Also! 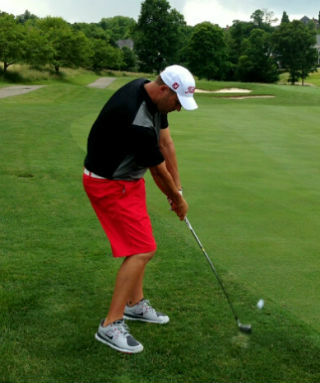 If you missed Ben’s interview this morning on 93.7 The Fan‘s Cook & Poni Show, which was live from the tournament, you can read & listen to it here! *Thank you to Tommy Iannarelli for all these great photos!